A close collaboration between Identity Management and ITSM software offers many advantages to organizations. 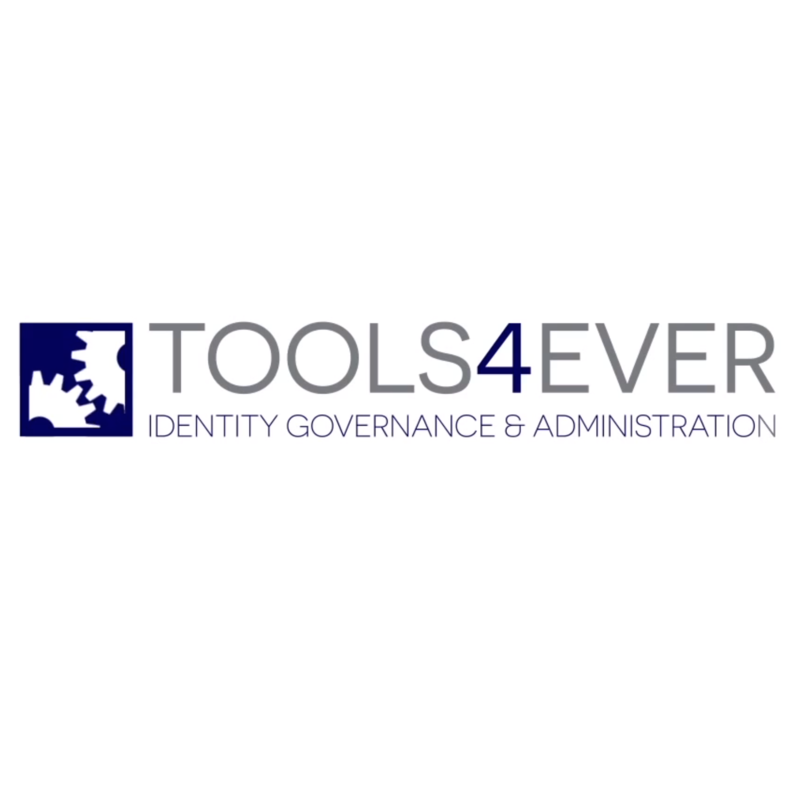 Tools4ever has developed and implemented Identity Management (IDM) solutions for more than 15 years. TOPdesk has been the specialist in ITSM for over 20 years. The two Dutch companies have been working together for more than a decade, with their software integrations covering multiple areas. TOPdesk tickets received via self-service mean a significant reduction of manual work for service desk agents. Employees experience a service from the service desk which is much more professional. The solution offers a nice, integrated user interface. Tasks are immediately executed. 100% audit trail in TOPdesk. Who has carried out which action and for which employee? This audit trail is automatically kept up-to-date, without efforts of the helpdesk staff. 100% automatic management of user cards in TOPdesk, based on information from HR, payroll, planning, dataware, ESB and Active Directory. 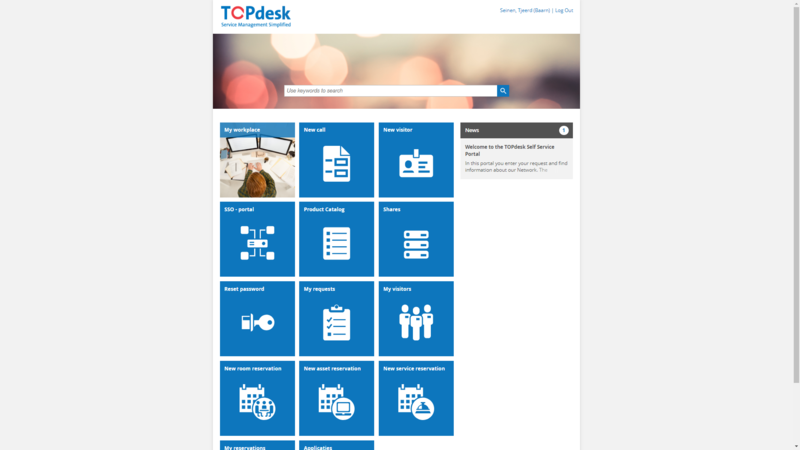 An employee can – without any necessary involvement of the service desk – receive access to parts of the network or applications via TOPdesk. An approval step by the manager can be part of this process. Managers have direct insight into the access rights of their employees. They can easily make changes. 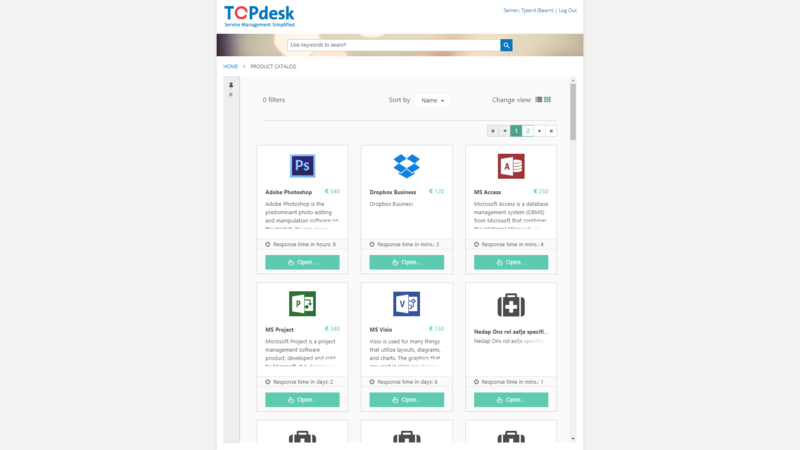 Using HelloID, users have automatic access to TOPdesk with no need for a separate login. 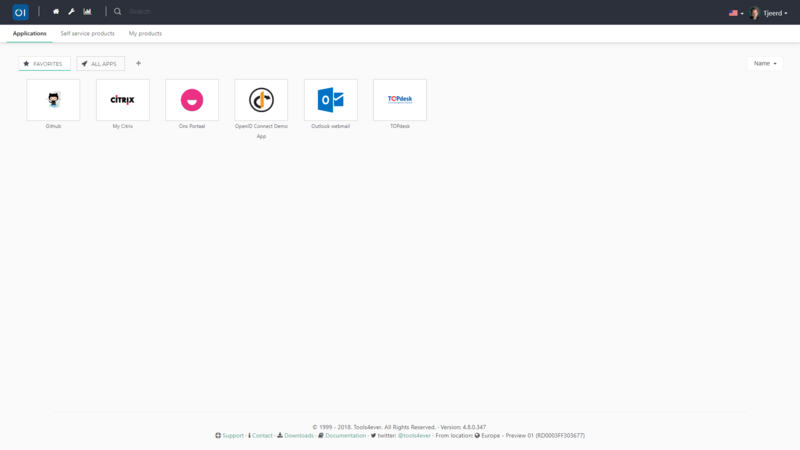 HelloID can act as a central login portal (IDP) and support the SSO to TOPdesk. 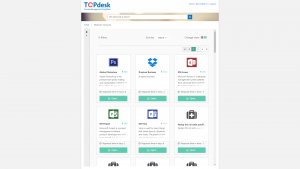 This means that employees only have to log in once and have direct access to TOPdesk. This is done via the HelloID portal. If preferred by the customer, the authentication can be enhanced with the 2FA functionality as supported by HelloID. 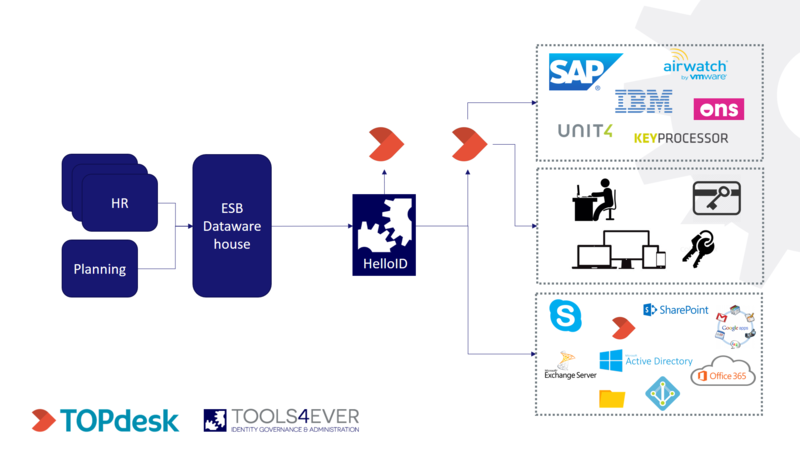 The integration between HelloID and TOPdesk goes beyond IDP and Single Sign On (SSO). Today, many organizations still have many manual processes in place. This is labor-intensive, error-prone and introduces safety risks (GDPR). By automating the interface to TOPdesk, many manual actions will become superfluous. An Identity Management System automates all employee intake, throughflow and outflow processes. For every change, HelloID can automatically create and close the relevant tickets in TOPdesk. 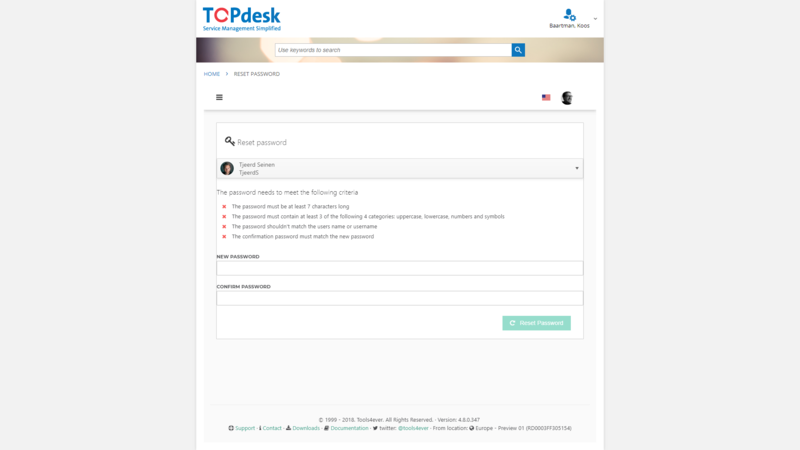 This creates a central registration point in TOPdesk which always provides an up-to-date registration of changes concerning an employee. When did the employee receive an account, for which systems, who approved additional user rights, which helpdesk employee performed a password reset, etc. 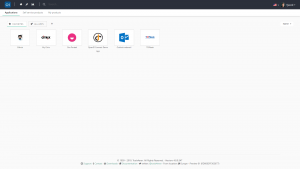 We can even go a step further by connecting the (extensive) change management capabilities of the Identity Management System to the TOPdesk functionality. This makes it possible to also automate the issuance of other company resources. HelloID provides a role-based model in which a change in the role or function of an employee can automatically trigger a change request in TOPdesk. For example, when someone starts a new position as HR Advisor, a request for an iPad is automatically submitted to the Service Desk, based on the role model in HelloID. 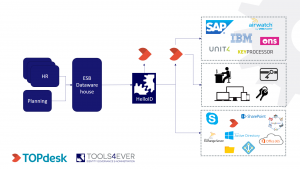 Thanks to this further integration of HelloID and TOPdesk, employees and managers can increasingly organize their IT applications and other resources themselves. For example, employees can request access to applications or resources with a simple mouse click in the HelloID self-service catalog. This request is then automatically presented to the right manager for approval. Once the request is approved, access to the application or resource is automatically enabled. This means that helpdesk employees are no longer needed to handle a request. This is the ultimate form of Shift Left. Employees receive considerably faster access to requested applications while managers gain a better understanding of who has access to which resources, as well as better insights regarding their own department’s information and communication technology (ICT) costs. It will also make the IT department look much more professional.